With less than 10 days of the Summer Reading Challenge to go, you’ll have to hurry-hurry to get as many books read and reviewed before the Challenge ends on January 31st. Remember – each book you read and review will get you an entry into the main prize draw. So the more reviews, the more entries. Awesome reading by these 10! 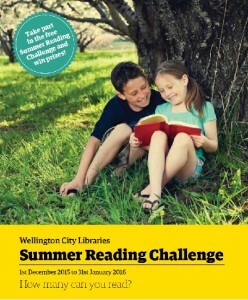 Don’t forget about the library challenges – visit each Wellington City Library and complete the fun Summer Reading challenge Activity to enter the second prize draw. Each activity completed gains you another entry! Some of these great books were in the Summer Reading Challenge. Are any of them your favourites? Let us know what you think of the books you read on the reviews page and help someone find a new favourite. The Summer Reading Challenge closes on Friday this week – 30th January, so make sure you’ve finished off writing all your book reviews and completing the library challenges. 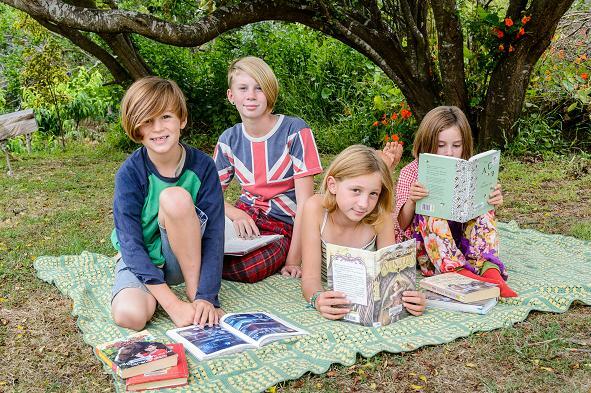 You’ll need to hand in your Summer Reading Challenge booklet to your local library, before the end of January, so the librarians can count the number of challenge you’ve completed. The more books you read and review, and the more challenges you complete – the better your chances of winning! 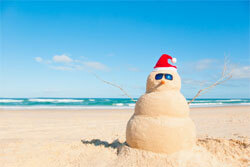 Christmas is coming… and so is Santa! In fact he’ll be taking part in the annual Santa Parade through the city centre. The parade is happening on December 14th, starting at 2pm. Make sure you get to Lambton Quay early to get a good spot! After the parade there is a big Christmas party for kids in Frank Kitts Park (hey- that’s really close to the Central Library! ), where there will be carol singing, entertainment, and stalls for buying those last minute Christmas presents. The Central Library is open 1pm – 4pm on Sunday afternoons. Make sure you pop in and grab some holiday reading and DVDs. 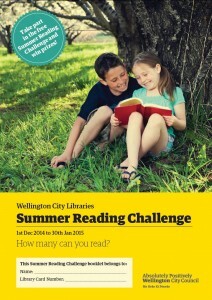 You can even take part in the Summer Reading Challenge! Grab the Challenge booklet from your local library, or download and print yourself, and get started on the Summer Reading Challenge! You have between now and January 30th to read an review as many books as you can from the challenge booklist and complete fun activities in our libraries. There are lots of cool little prizes to earn along the way, and you can earn entries into the Challenge’s main prize draws. Everything you need to know about the Challenge can be found at our Summer Reading Challenge page. What are you waiting for? Get started today – the more you read the more you win. 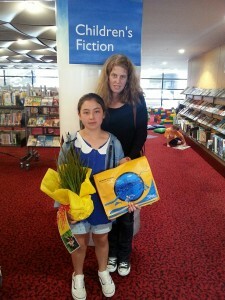 The Summer Reading Challenge has finished for 2015 and the winners have been announced. These lucky two had their names drawn out as the winners of the challenge. 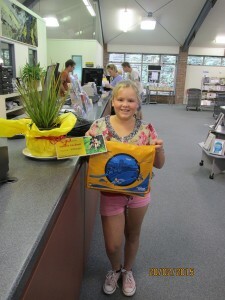 They have received an awesome prize pack full of goodies. Thanks to everyone who challenged themselves over summer. See you next summer! 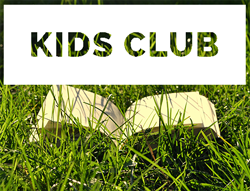 Missed the Summer Reading Challenge (or just missing all the fun)? You can review books and win prizes all through the year. Find out more. Summer Reading Challenge – 18 days to go! These school holidays are going fast! There are only 18 days left of the Summer Reading Challenge. Remember that every book you read and review from the Challenges’ book list will gain you an entry into the big prize draw at the end of the Challenge. We’ve had some fantastic reviews come in so far – read them all here.